Lithuanian President Dalia Grybauskaitė underlined after meeting with her Portuguese counterpart, Marcelo Rebelo de Sousa, on Tuesday that the two NATO member states face similar challenges. "This visit is very important for us because the security situation both in NATO's southern flank and in the eastern one poses very similar challenges," Grybauskaitė said after the meeting in Kaunas. "We see rapid, intense and aggressive militarization of the Kaliningrad region and missiles deployed there can reach Lisbon as well. The Zapad exercise, which is of offensive nature, will be conducted mainly from the territory of another country, Belarus, thus involving that country in aggressive behavior against NATO countries," she said. 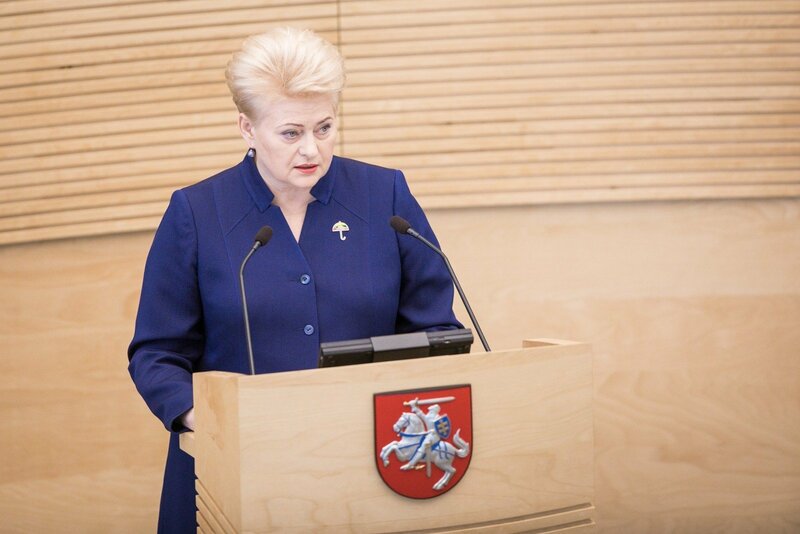 Grybauskaitė thanked Portugal for its support, which she said intensified immediately after Russia's annexation of Crimea in 2014. The president also noted that Lithuania and Portugal take a similar view to Europe's energy policy. Both countries have built liquefied natural gas terminals. "We always feel and see support and understanding and appreciation of our position on the Astravyets nuclear power plant's threats," she said. The Portuguese president stressed that the two countries usually have similar positions on key EU issues and said that Portugal understands and supports Lithuania in its concerns over nuclear energy issues. "In the context of NATO issues, we have the same vision on both southern and eastern issues and we are looking in the same direction," Rebelo de Sousa said. He invited Grybauskaitė to visit Portugal. Rebelo de Sousa came to Lithuania on Tuesday to visit Portuguese troops deployed in Tauragė, a town west of Kaunas. Portugal also actively participates in the Baltic air-policing mission and has contributed military personnel to NATO Force Integration Unit in Vilnius.